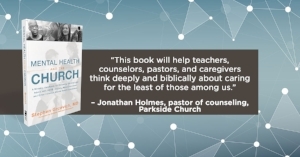 The series of fourteen short videos (each is approximately ten minutes in length) is intended to serve as a resource to pastors and ministry leaders seeking to develop a mental health inclusion strategy within their churches. The final video segment describes the tools and resources available through our ministry and other like-minded ministry organizations for churches wanting to become more intentional about welcoming and including individual and families affected by mental illness into worship services and other church activities. To access the video series, simply click this link to the page on our website where the videos are housed. In addition to the training videos, we also have made available an informational page on the book, recommended books and resources for mental health inclusion, a guide to other mental health ministry organizations, research pertaining to mental illness and church involvement, sermons in which the topic of mental illness is addressed, helpful social media resources and stories from individuals and families about their experiences of attending church with a mental health condition. 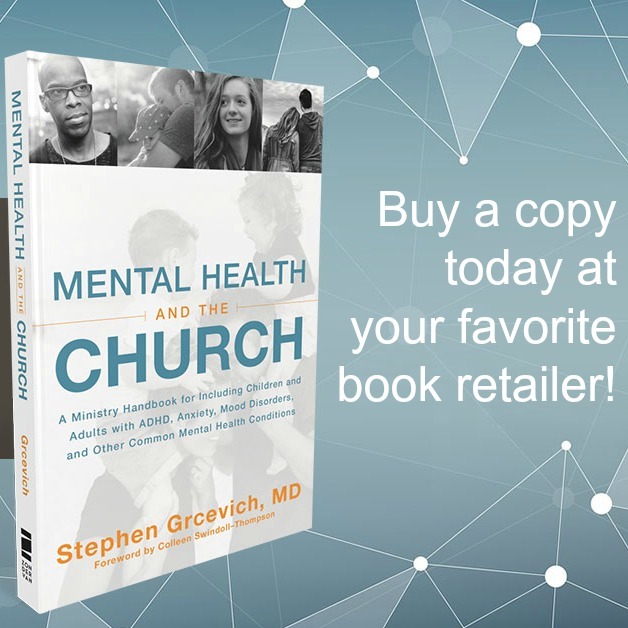 Our team hopes these resources will be helpful to your church as you take the next step in developing your mental health ministry. If you need further assistance from our team, feel free to contact us and let us know how Key Ministry can help you launch or grow your ministry! Special thanks to the video production teams of First Christian Church in Canton, OH and Bay Presbyterian Church in Bay Village, OH for helping to make this video training series possible!